The mod in its current state is discontinued, no support will be given. Don't bother with suggestions as there won't be any future updates. The mod is going to be overhauled into a whole new mod, changed lore, new direction and such but that won't come for quite some time due to life and time issues. The broken lang file is known. Either downgrade TamModized or deal with it. Everything below here is legacy. The mod is our interpretation of what lurks deep within the one of Minecraft's oldest, yet mostly untouched environments: The infinitely expansive Void. 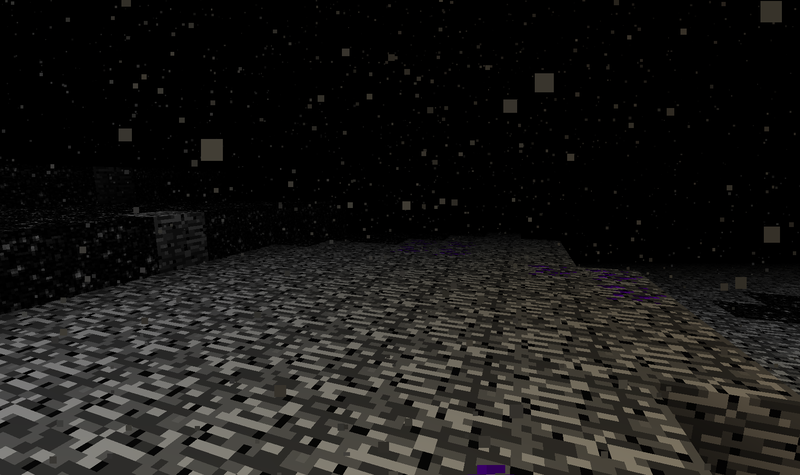 The easiest way to enter the void is to harvest Void Crystals from the Dimension closest to it: The End. Once there, one can search for Void Crystals bound to the native whitestone. Each ore will always drop 1 to 3 Void Crystals, regardless of one's fortune. 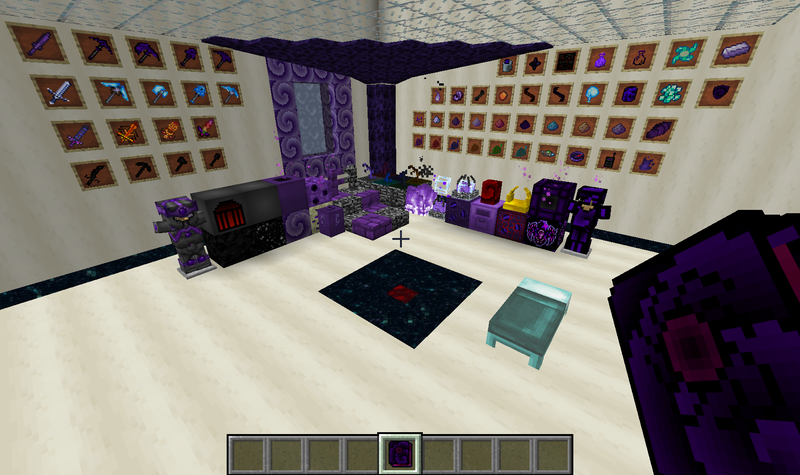 After gathering a large sum of Crystallized Void, combine nine of them together in a crafting table to form a Void Crystal Block. 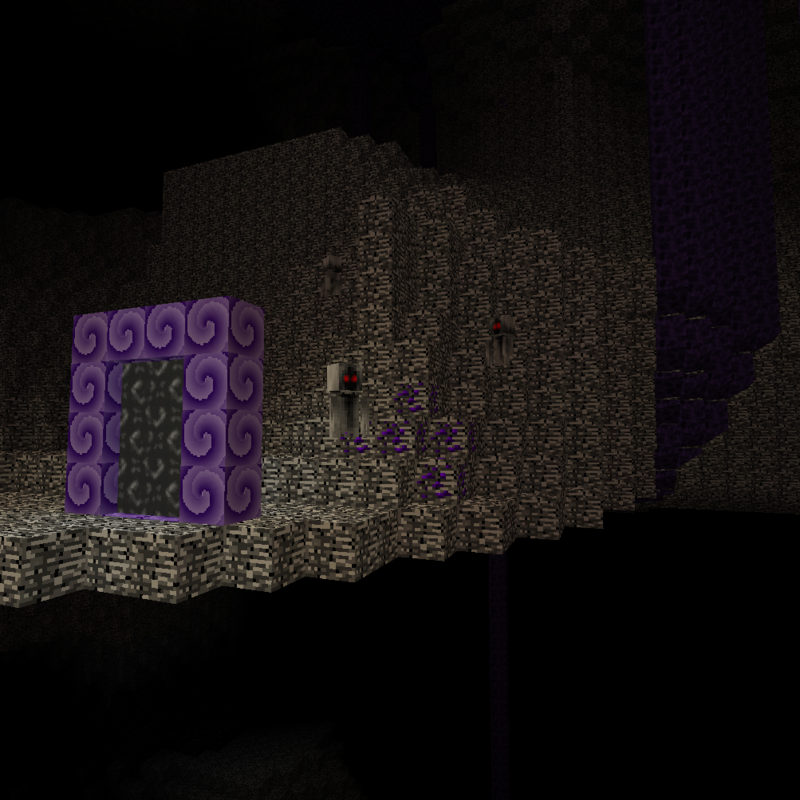 With these new blocks in hand, construct a portal frame and activate it by throwing Void into it from an Obsidian Flask. The Crystals will resonate with the void's power, and create a portal that will safely transport matter into the inner void, bypassing the destructive protective layer that surrounds it. You'll want to get yourself the Void Vade Mecum. This book contains all the information you'll need to know about the mod. To get the Void Vade Mecum, you'll need to collect an Obsidian Flask. To collect an Obsidian Flask you'll need to craft an Empty Obsidian Flask with three Obsidian Blocks and a single Glass Block. To fill the Flasks you'll need to head down to Y level 5 or below. Once you're at or below this Y level, simply Right Click with an Empty Flask in hand. This will collect the nearby void into the special flasks. Proceed to throw the flask in the world via Right Click to create Void Fire, from here you must toss a vanilla book into the fire. 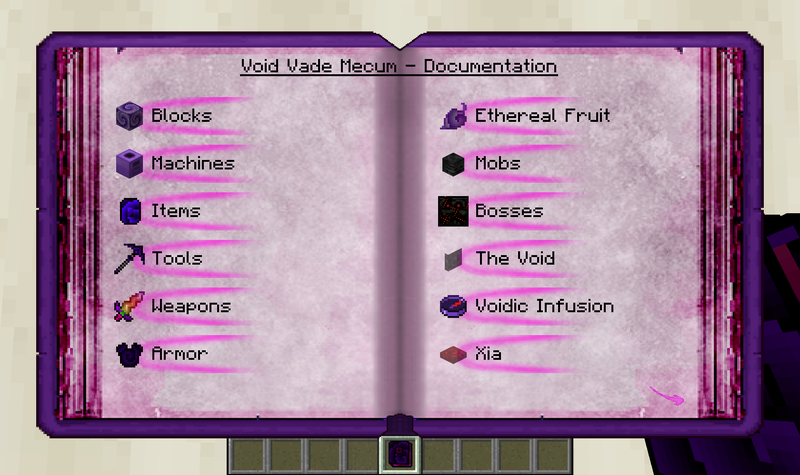 The Void Vade Mecum will now be in your possession. This mod works alongside VoidFog but is not required.